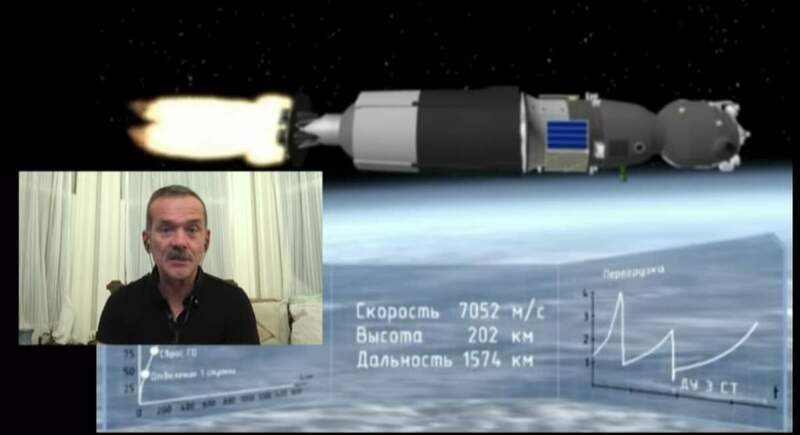 Canadian retired astronaut, engineer, and former Royal Canadian Air Force fighter pilot Chris Hadfield explains the Soyuz MS-11 launch which happened on December 3, 2018. It is great to listen to such an experienced astronaut explaining what happens during the launch, what astronauts feel, etc. Today I stumbled upon on a beautiful web site: the Climate Reanalyzer. In fact, Chris Hadfield, the retired Canadian astronaut and also who was the first Canadian to walk in space, tweeted about the web site, saying “The current bulge of cold”. Then I visited the web site and found it really informative. We see images and videos from the International Space Station (ISS) where astronauts floating in the space freely. That’s because they’re in the space, so there is no gravitational force of Earth there, right? The International Space Station is in Low Earth OrbitSee notes 1 with an altitude of between 330 and 435 km (205 and 270 mi). It is so close to the Earth that on a clear day easily visible to the naked eye from the ground as it is the third brightest object in the sky (NASA has actually launched a new interactive map at its Spot the Station web site). At that altitude, the Earth’s gravity is about 90 percent of what it is on the planet’s surface – still pretty strong, right? To reduce the gravity of the Earth by a factor of one million, one needs to be at a distance of 6 million kilometers (around 3,728,227 miles) from the Earth – more than fifteen times the distance between the Earth and Moon.